I started as digital 2d/3d artist to senior texture and material artist, I’ve been working on several projects such as an empathic learning game called Virtual Dementia Experience. I’ve been working on Earthlight as well as preproduction designer and as senior artist. I’ve been in virtual reality for three years now, that means I’ve been one of the firt people to work in that field in Australia. We’ve been testing and using motion map controllers with VR headsets before Oculus Rift and HTCVive got those controllers too. I’m very tech and art oriented but I also enjoy game design for indies. Question: When and why did you decide to pursue a career in game development? Answer: Good question! When does one decide to jump into game development?Why do people pick a job that is low paid, long hours and where harassment is a routine? I think in my case is because I like making and sharing things that people can interact with. Like with art, it’s kind of a way to express ourselves. At the age of eleven or twelve I started to make paper boardgames and stuff like that: I wanted to know how to make games, I was trying to understand how those things were made. I never played MMOs and I rarely settled with one title as a player, I wanted to see the experiences that were available. Q: What did you think about the industry at first? A: I was studying to get into game development when the global crisis hit so all the game industry’s jobs died overnight. So I actually dropped out, I left for five years and then came back to finish. When you’re first starting out, the idea of being valid and put aside your fear is a very hard thing. There’s a lot of hope and a lot of fear: you don’t know if you’re going to get a job, if you’re going to finish your studies, you don’t know if you’ll ever be able to make a game. Q: The global financial crisis of 2008 made all the triple A studios leave Australia1 and because of that right now is pretty much all independent development, right? How did that happen? A: We had two personalities that were key to this uprising, Tony Reed and Giselle Rossman, who built a community of indie developers: monthly meetups, having IGDA here in Melbourne and pretty much meetings to organise, show and talks about what was people doing and encourage eachother. People had no jobs, but this people made a group of thirty, fourty or fifty people sit in a room and show their work, from prototypes to games. In the span of four, five, six years that fifty people grew to into a hundred, then two hundred people and essentially into a faction lobby that makes it very difficult for the Government to not fund games, specially indie games. There’s no funding to big studios, because what’s the point in that? If the only reason a big studio is in a certain location is funds, it means they will pull out in case they find a better situation and that will leave a lot of very specialised people unemployed and if there’s not a diverse consolided govern-funded industry, ready to get them aboard, they will need to go overseas. I would have to do the same thing if I didn’t have the funding to keep my studio afloat. Having a community to back you, a voice and presence is vital for game developers, organising events that can attract media and public are key points that make it suicidal for the Government to look away and not fund us. Q: You are working on a space training simulator in collaboration with the NASA. How did it start? 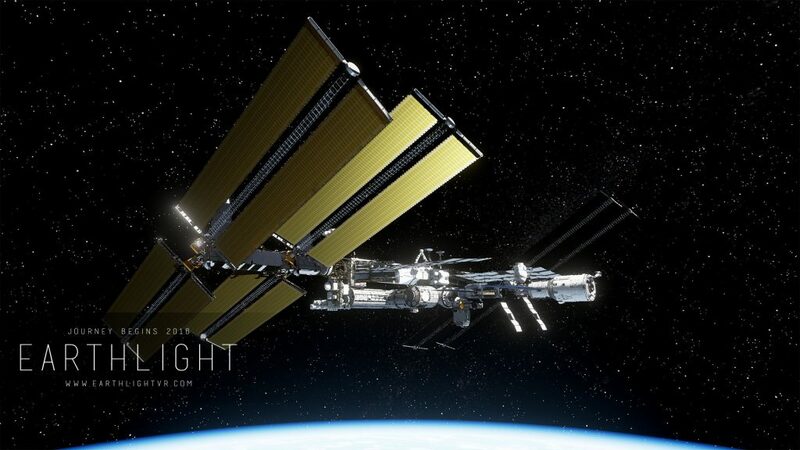 A: Earthlight started having lunch with my boss at Opaque Media, when we were at the end of other productions he told me Hey, why don’t we make a VR space station? and I said sure let’s do that. About ten weeks later we had the first tech demo of Earthlight and we brought it to GDC with other projects we were showing. Earthlight did very well. It was no grand idea nor geniality, we accidentally made a VR game about astronauts and people liked it, so we kept going. We were lucky to have support from third-parties like NASA that liked what we were doing and helped us out. Q: Sounds like a pretty big project, to be honest. How’s your team like? A: At peek, we’ve been eighteen people being the original team about nine. Right now we are five people in the commpany and about ten contractors that are on and off. At this point all the heavy lifting parts (space stations, big assets you know), that’s because we had a rather big art team of about seven people give or take. We tried to have a diverse team and it was quite a journey. Before the job postings, we did research to make it accessible to avoid toxic practices that are common in the games and tech industries; then we contacted associations and groups for women game developers so we could post our job application there or email people and out of forty-five applications we got just four women applications. Funny thing, some of the guys who applied for senior or lead roles were a bit blunt, I mean, some didn’t even publish a game but felt confident enough to apply. The women, instead, were very qualified, I won’t say they were nervous but there was a lot of careful consideration. The worst part is that we were told that having a ten percent of women applying is quite good. One of the things that we noticed is that being assertive and confident about your work is a masculine thing somehow and it is also a requirement for success. This alienates a lot of talented people. Q: Could you try to tell us your evolution in the project as if it was some kind of hero’s journey tale? A: It was utter chaos. I’d like to find a Disney movie that could fit but I don’t think there’s any where the heroes keep dying and everyone’s crying, everything’s on fire and trying to figure out what’s going on. We were not used to such big projects as Earthlight, in fact we started as four people and after GDC we appeared on The Times and several magazines, webpages and blogs, we even ended up on the front page of Reddit and there was no real game, just a tech demo. So yeah, we were freaking out. We had several problems in production because it is our first big gig, we learned a lot of tough lessons in the way, like, never make the decision maker of the project the same as the business development manager because they’ll end up saying yes to everything and everyone and you’ll loose direction, that’s why you need a project manager and a producer to be separate people. We also learnt that working in VR kills. It’s still working out technical, design and management problems and things that work or not, as industry and that makes it hell. After several that died, I was crowned project manager. Since I’ve been from the very beggining and through development, I knew the project really well and my vision was important, so it made sense. One of the first things I did when I started as project manager was changing the minimum viable product so we could finish it as soon as possible, test it and develop from there. I don’t think we’ll ever be done, I can’t imagine right now life after Earthlight, and as long as they keep paying us I don’t believe we need a release date, in spite what everyone keeps telling and asking me (laughs). If I was to add a trope in this story, I’d say I’m the princess who needs rescuing from game development and the party that is coming for me is a game designer who is talented and experienced and a very creative and amazing artist, whom I really trust, en they’re helping me with a new studio I’m building up. Q: What would you say to your before-earthlight-self if you could? A: Leave the night-club work, calm down and don’t fear being unemployed, you are not worthless. Q: Mistakes, we all sure have some. Which ones would you repeat, which ones you wouldn’t? A: How far are we going here? I’ll probably would burn again some bridges, like this guy from Autodesk in an entrepeneur conference that totally dismissed Jennifer Scheurle, giving cards and talking to everybody but her. Some people need to learn how to treat people with dignity. One of my big regrets is not doing more self-education in terms of what being a minority in games means. When you’re not aware of it, you tend to dismiss it. I could have read books about it, listen to podcasts or just listening to women who were talking about it or watched videos, documentaries, series, … instead of asking others to teach me. Q: What do you thing about today’s game industry? What would you like to do in it? A: I’ts changing. GDC, four years ago, was very male centric, almost sickening, and last year I ended up in the news with Kamina Vincent, Brianna Wu and Jessica Price because we all raged out of one of Microsoft parties. And that proved the change, because that party wasn’t the worst that happened in GDC in the previous years but pointing out the error, made possible that this year we even had a Women in Games night event that had a two hour long line around the block where it was held. What I want to do in the games industry is creating jobs, giving job opportunities to others. To know more about Earthlings click insiste this link.